I want to share this with you because who doesn’t have somebody in their life wrestling with memory issues? The approach to reversing memory challenges can be simple and easy – and comes from ancient Kundalini practices out of India (that I guide in my elevation ceremonies, but let’s set that aside for now). This particular practice – or kriya, as we call it, is an active short chant meditation that works on balancing the brain hemispheres. Eleven minutes. Just 11 minutes a day! Now before you toss it off as some kinda WooWoo please know there’s solid and growing research on this – out of places like Harvard Medical School and UCLA. As a trained clinician I do appreciate the Western-based science but also have seen first-hand and experienced personally in my ceremonies and private sessions the healing effects of these ancient sophisticated practices called kundalini. This one, called Kirtan Kriya, directly correlates with improvements in Alzheimers. The chant sounds (explained later) create vibrations that send blood flow to the brain in vital areas that are concerned with mood, anxiety, depression and anti-aging. It works to deeply clean the subconscious mind through creating balance in the mind while it resets the pituitary and pineal gland. The sounds help our mind focus and helps us release. In short: it’s very healing to the brain. The guy who’s been heading up this research is a Medical Doctor and also a highly respected Kundalini yogi by the name of Dharma Singh Khalsa. He sent out this email blast (see below) that I receive because as a guide of Emotional Liberation, a Kundalini-based approach, I get these emailings to stay on the tip. Instead of rephrasing all his info, I’m just including here the good doctor’s explanation and direction. I’ve taken the liberty of re-languaging some of it so it’ll be litter clearer. If his “Kundalini speak” is hard to understand, reach out to me with questions and I’ll get back to you. This piece is about women in particular but rest assured that it’s just as helpful for men. If you’d like to experience it first-hand, I often guide Kirtan Kriya in my Elevation Ceremonies and Cannabis Elevation Ceremonies as it’s good for overall brain health; since my work is around supporting people in healing from difficult emotions I’m very focused on brain health. Ok, that’s it from me:) Do share this with someone who needs it. If the stars align I’ll be seeing you or meeting you for the first time soon. Like many women her age, Judy had lost the gift of memory. She is a 54-year-old dentist who is quite scared. Judy shared that what worried her the most was trouble remembering her patients’ names. Beyond that, she often got confused about which tooth had the problem: was it number four or fourteen. She was also having other memory issues, such as not being able to summon the correct word and difficulty spelling. Her history was quite compelling. She was a survivor of childhood trauma and sexual abuse. When I asked her to describe her upbringing, she looked down with red-rimmed eyes and said softly, “lots of stress.” She said she didn’t receive even a smattering of nurturance and felt neglected. It was amazing she had done so well. Unfortunately, she is not alone. Millions of women who are in early menopause are losing their memory. Others have passed through it years earlier and are now starting to show signs of accelerating cognitive decline. In the coming years, women will be affected in large numbers by the scourge of an Alzheimer’s disease (AD) epidemic; thirty-three million women are on track to get it. Close to seventy percent of all cases of Alzheimer’s today are women. That’s 3.8 million women today and that number is predicted to zoom to over 23 million in the coming years. Moreover, women account for 65 percent of the more than 15 million unpaid caregivers of people with Alzheimer’s and other serious illnesses. Being a caregiver is very stressful and a risk factor for many illnesses, including Alzheimer’s. Beyond that, women in their 60’s are about twice as likely to develop severe memory loss as breast cancer. After age 75, that risk skyrockets to three times as high. Why are women in such danger? What can they do to decrease their chance of developing severe cognitive decline? One risk factor is that women live longer than men do, and age is the greatest risk factor. But this theory seems to account for only a small portion of the cases. Scientists are now breaking it down to a deeper level of understanding. Studies are pointing at mid-life brain changes, starting in the late 40’s and into the 50’s and specifically how post-menopausal women show clear changes in how new material is processed and remembered. Much current research, therefore, is focused on how lower levels of the female hormones estradiol and estrogen play an important role in memory function with age. There are also other significant issues including a loss of brain cell connectivity with age called neuroplasticity; a decrease in brain blood flow; a plummeting of energy dynamics especially in the mitochondria or the brain’s power plant; and a shortening of telomeres, the protective cap of your DNA. Shorter telomeres are a severe risk for accelerated aging and cognitive decline. Another grave threat is chronic stress-from utero through childhood, teenage years, and throughout a woman’s entire life. Indeed, it’s revealed that prolonged exposure to stress leads to loss of brain cells in the hippocampus or memory center. Women reporting high levels of stress in mid-life have dramatically increased risk for AD. I told her she was correct. For over fifteen years, our non-profit foundation, The Alzheimer’s Research and Prevention Foundation or ARPF, has helped design and fund cutting-edge research on Kirtan Kriya and memory. We are now recognized as the world’s leader in meditation and memory research in the Alzheimer’s community and beyond. The diet, supplement and rejuvenation aspect of the plan are also scientifically based and easy to follow. Judy was excited to get started and worked the program with the same drive and determination she had used to become a great dentist. In a matter of only a few weeks, she showed good improvement and by two months was well on the road to recovery. Fortunately, she stayed on the plan and was able to enjoy life again. Her dental practice thrived and she had grown so much spiritually, that she volunteered to read to disadvantaged children at her local public library. Starting in 2003, our work to date has resulted in 30 papers published in prestigious medical journals such as The Journal of Alzheimer’s Disease. It’s also been presented at a surfeit of major medical meetings including The Alzheimer’s Association International Conference (AAIC) and enjoyed burgeoning media exposure. Our most ambitious research is now under way at UCLA. We’re studying how Kundalini Yoga and Kirtan Kriya will prevent Alzheimer’s in high risk women. A high risk woman is defined as one with heart disease, menopause, and established memory loss. What words describe the times in which we live? Anxious, intense, and chaotic, are just a few that come to mind. But thanks to the technology of Kundalini Yoga and meditation, we also have a tremendous capacity to cultivate high levels of health, happiness, and well-being. Meditation is our best antidote to chronic stress. 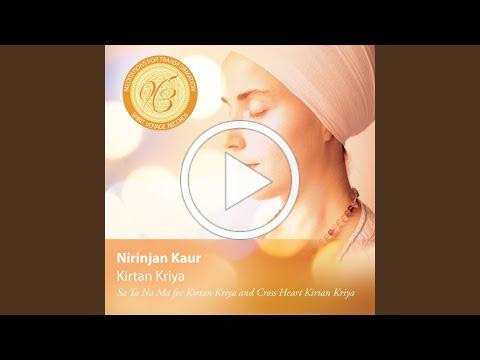 Incorporating the powerful Kirtan Kriya into your practice for only 12 minutes a day is a scientifically proven way for every woman to reduce stress, boost cognitive function and prevent Alzheimer’s disease. For further information, please go to www.alzheimersprevention.org. There you’ll find more information on our research and our Brain Longevity Training Program. This training is the only yoga-based program in the world for everyone to prevent and reverse cognitive decline and help others do so as well. Dharma Singh Khalsa, M.D. is the President/Medical Director of the Alzheimer’s Research and Prevention Foundation and Special Editor for Prevention, Journal of Alzheimer’s Disease drdharma@alzheimersprevention.org. This meditation brings a total mental balance to the individual psyche. Through this constant practice, the mind awakens to the infinite capacity of the soul for sacrifice, service, and creation.Practicing this meditation is both a science and an art. It is an art in the way it molds consciousness and in the refinement of sensation and insight it produces. It is a science in the tested certainty of the results it produces. Posture: Sit in a crossed legged pose with a straight spine, with the neck pulled back. Wrists are on the knees, arms and elbows straight, start with the hands in Gyan Mudra, that is the tips of the thumbs and the index fingers touch each other and form a circle. Eyes: With eyes closed, look up between and just above the eyebrows. Each repetition of the mantra takes 3 to 4 seconds. In Eastern psychology, this is the cycle of Creation: Saa means infinity, Taa is life, Naa is death and Maa is rebirth, which takes us back to Saa, the infinite cycle. In Kirtan Kriya you first chant out loud, then chant with a strong whisper, then mentally vibrate the mantra. To complete Kirtan Kriya you reverse the sequence, continuing silent chanting, then whispering, then chanting out loud. Time: 11 – 31 minutes. When practicing for 31 minutes, each chant in each voice for 5 minutes, with the silent section lasting 10 minutes. When practicing for shorter times, keep the time proportions the same. To End: Raise your arms over your head, spreading the fingers wide, and shake them out. Stretch up, circulate the energy, inhaling and exhaling several times while shaking the arms and hands vigorously. Each time the mudra (hand and finger motion) is closed by joining the thumb with a finger, the ego “seals” the effect of that mudra in the consciousness. Vibrating on each fingertip alternates the electrical polarities, which causes a balance in the electromagnetic field. Chanting out loud, whispering, and silence are the three languages of consciousness. If during the silent part of the meditation, the mind wanders uncontrollably, go back to a whisper, to a loud voice, to a whisper, and back into silence. Do this as often as you need to. Some people may experience headaches from practicing Kirtan Kriya. The most common reason for this is improper circulation of prana (life force) in the solar centers. To avoid or correct this problem, imagine the energy of each sound moving through the top of the head, and out through the Third Eye Point (above the eyebrows) as it is projected to Infinity.